If you’re not happy with the way your smile looks, then you may know first hand the embarrassing feeling you get when asked to take a picture. Even if you enjoy smiling and consider yourself a happy person, hating the way your smile looks can interfere with your confidence and relationships. At Metropolitan Dental Care in Denver and Lone Tree, CO Dr. Steve Law offers professional teeth whitening treatment to increase self-esteem and help patients feel more approachable and attractive. Professional teeth whitening treatment removes external dental stains to reveal a beautiful, bright smile. 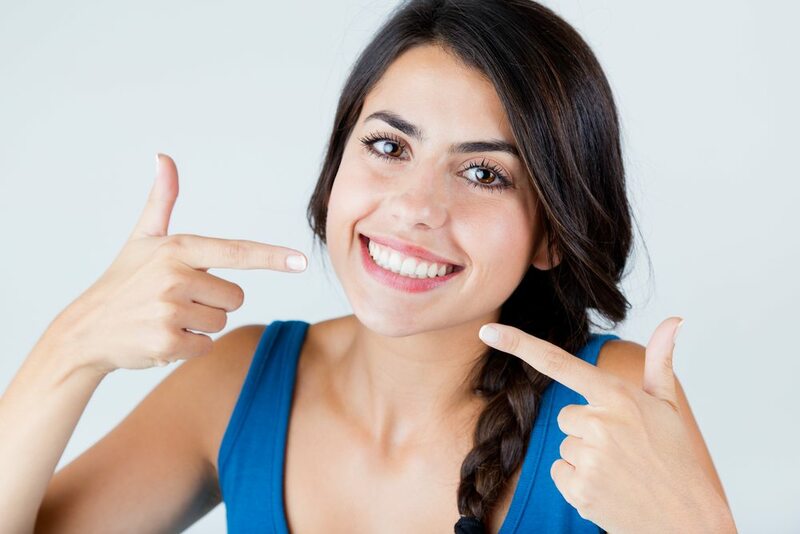 After receiving teeth whitening treatment, patients feel more encouraged to take on new experiences and relationships. Not only will teeth whitening treatment give you a radiant, show-stopping smile, but it will also help you appear younger and more professional. Our experienced cosmetic dentists are ready to give you the pearly white smile you’ve always dreamed of. Call 303-534-2626 today to schedule your smile consultation with one of our dentists in either Denver or Lone Tree, CO.
It’s no surprise that teeth whitening treatment in our office will help improve your smile. However, your entire demeanor is given a makeover when you seek out professional whitening treatment. You’ll appear more confident and ready to take on new challenges, which will help you seem more powerful to others. If you’ve been nervous about taking on a more serious role at work, professional teeth whitening might just give you the confidence boost you need. If you’re proud of your smile, you might feel more prepared when asking for that promotion. In addition to improving your professional relationships, teeth whitening treatment from Metropolitan Dental Care can do wonders for your romantic and social relationships. If you’ve recently felt hesitant about asking that cute barista out on a date, teeth whitening may give you the confidence boost that you need. Our treatment erases topical stains and brightens yellow and dark-colored teeth. If you have a severely stained tooth that stands out from the rest, a porcelain veneer offers permanent results. The thin porcelain shell is applied in two simple dental visits. As for social relationships, studies show that individuals with beautiful, white smiles are perceived as more approachable and friendlier. A yellowed or stained smile can influence others to think that you’re not as healthy as you really are. Furthermore, you may feel unhealthy when you look at your discolored smile in the mirror or in pictures. Despite your commitment to your oral care routine, a stained smile is hard to improve without professional teeth whitening treatment. While store-bought products are easily accessible and known to slightly enhance smile appearance, professional methods are the best way to defeat tough dental stains. External stains come from dark-colored foods and drinks. If you’re an avid coffee or tea drinker, you may notice slight stains in your tooth enamel. Professional teeth whitening treatments use stronger bleaching agents than store-bought products. Therefore, our products are able to remove tough stains to produce a show-stopping smile. A brighter, whiter smile will also help you appear younger. Yellowed teeth can make a patient look years older than they really are. For more information about professional teeth whitening treatment at Metropolitan Dental Care, call 303-534-2626 to speak with a staff member in our Denver or Lone Tree, CO office.